If you read my "About page" you will see I have to write in 'boring speak' for work. It's rarely ever about boring events or products. In fact, I'm usually quite excited about everything, that's why it's so irksome having to tone my excitement levels down for a media release. 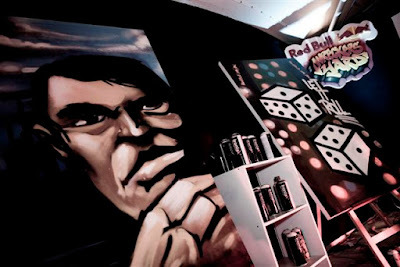 The Red Bull Wreckers Yard 2011 – Trans Tasman Final hits Melbourne this Saturday 25th June at The Evelyn Hotel in Fitzroy. Red Bull Wreckers Yard has been taking street art culture from dark alleyways and train tracks to the people. Over a whirlwind past four weeks, the 7 finalists beat the best local graff artists in their hometown in a live painting round robin for the chance to represent their city at the Trans Tasman Final this weekend! 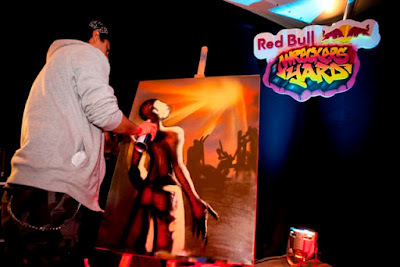 The 2011 finalists are Itch (Melbourne), Peque (Sydney), William (Perth), Store (Adelaide), Gimiks (Brisbane), Yelz (Wellington) and Seekayem (Auckland). Also competing as a wild card entry will be 2010 champion Sofles. The night will be hosted by Melbourne’s own MC Briggs and will feature a post-competition performance from New Zealand’s MC David Dallas! What will go down at the Wreckers Yard? The artists will be provided with a blank canvas and cans of Ironlak paint. Each round competitors will be given a theme to paint one minute before the clock starts. Some examples of themes could include greed, lust, nature, fear or freedom. The artists will then have to spray according to the theme. The judging criteria include creativity, style and theme interpretation. The winners from each of the seven qualifiers have already scored themselves a great prize pack including Skullcandy and G-Shock gear and a trip to Melbourne to compete in the final. 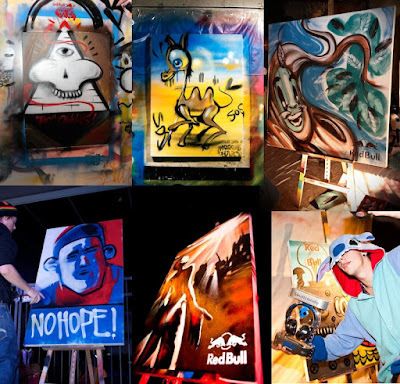 This Saturday the Red Bull Wreckers Yard – Trans Tasman Final will determine Australia and New Zealand's best graff artist with the winners taking home a share of $2,500, prize packs and the opportunity to graff part of Red Bull HQ in Sydney.